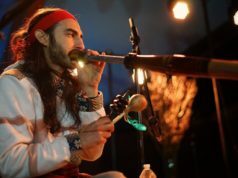 Circular breathing is a wind instrument technique that allows the player to sustain a tone for an extended period of time. This is accomplished by storing air in the mouth (inflating the cheeks) and using this reservoir of air to inhale through the nose while air is still coming out the mouth. People always ask me if it is difficult to do circular breathing on didgeridoo and I usually reply that it is just a slight variation on normal breathing. 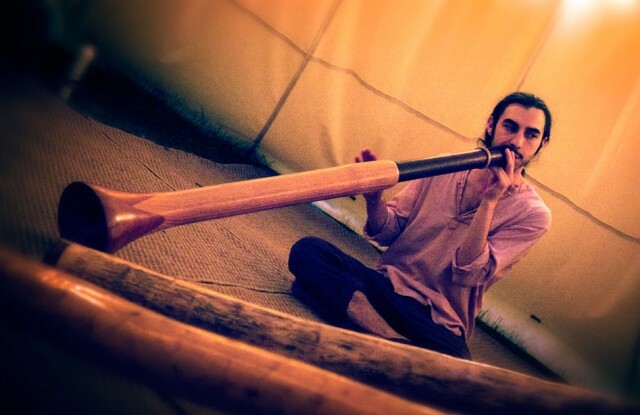 Circular breathing is key to didgeridoo playing because it allows for the continuous drone to remain unbroken, forming a strong foundation for the complete sound. Learning to circular breathe is like going to the gym in that you are working to develop muscle tone, flexibility and control. While it may seem challenging, practice of the following exercises you will give you an understanding of how the mechanics work and how to successfully master the art. 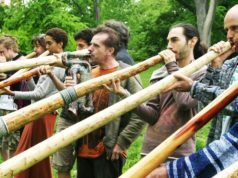 Some people find it easier to learn circular breathing by playing the didgeridoo but you do not need an instrument to practice these exercises. 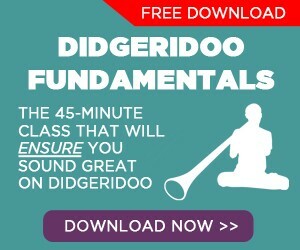 ***If you are new to playing wind instruments, be sure to first read How to Strengthen The Breath and Expand Lung Capacity for Wind Instruments and if you are new to didgeridoo, first watch our video on How To Play Didgeridoo For Absolute Beginners. Fill your cheeks with air so they are puffed out and hold your lips tight so no air escapes. Inhale and exhale naturally through the nose, keeping the cheeks filled with air the whole time. Inhale slowly. Exhale slowly. This first step serves to establish independence between your breath and the air in stored in your mouth reservoir. Fill your mouth with water so that your cheeks are bulging out. Gently squeeze your cheeks and bring your jaw up as if biting so the water streams out. Maintaining a constant stream, inhale and exhale naturally through your nose. Your goal is to have an uninterrupted flow of water coming out of your mouth as you breathe. This exercise can be practiced each time you step into the shower. Start with your cheeks inflated and mouth closed. Inhale through the nose, keeping your lips sealed and your cheeks inflated. Then exhale through your mouth, keeping your cheeks just as full. On your next inhale, seal your lips again. Continue with this cycle maintaining inflated cheeks throughout. This is the first stage in what will become a full breath cycle. Start with your cheeks inflated. At the same moment you begin to inhale through the nose, squeeze the air out of your mouth by bringing your jaw up and tightening your cheek muscles. You should strive for a strong but quiet inhale through the nose. With some practice you should be able to synchronize the flow of air coming in your nose and the flow of air going out your mouth. Practice this until you get good at it. Start with exercise 4. After you simultaneously inhale through the nose and squeeze air out your mouth, make a strong exhale from the lungs by saying “HA”. This out-breath should come from deep in your core so be sure that your diaphram is engaged and abdominal muscles are tightening to push the air out. This exhale should also push air back into your cheeks. Once you have combined steps 4 and 5, repeat them over and over again until you start to feel the groove. Make the repetition as musical as you can. The goal is to get air constantly coming out of your mouth with no gap between the inhale and exhale. With practice you will be able to blend the air flow from the two sources (mouth and lungs) into one rhythmic cycle, the circular breath. 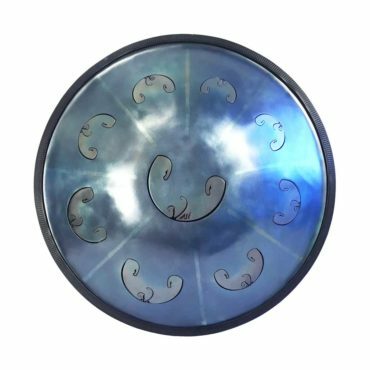 After you have mastered step 6 and completed the cycle, you’ve done it! 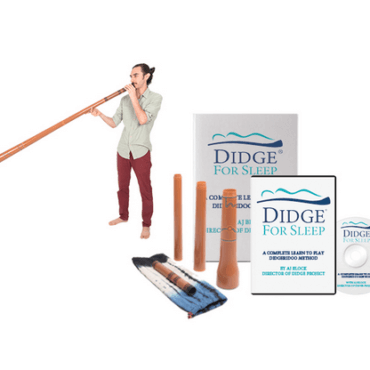 It is time to pick up a didge and put your new circular breathing skills in action. Ready for further training on circular breathing? Want to see how to put all the pieces together? 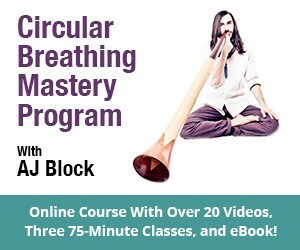 Sign up below for a free video class on circular breathing exercises you can try at home. 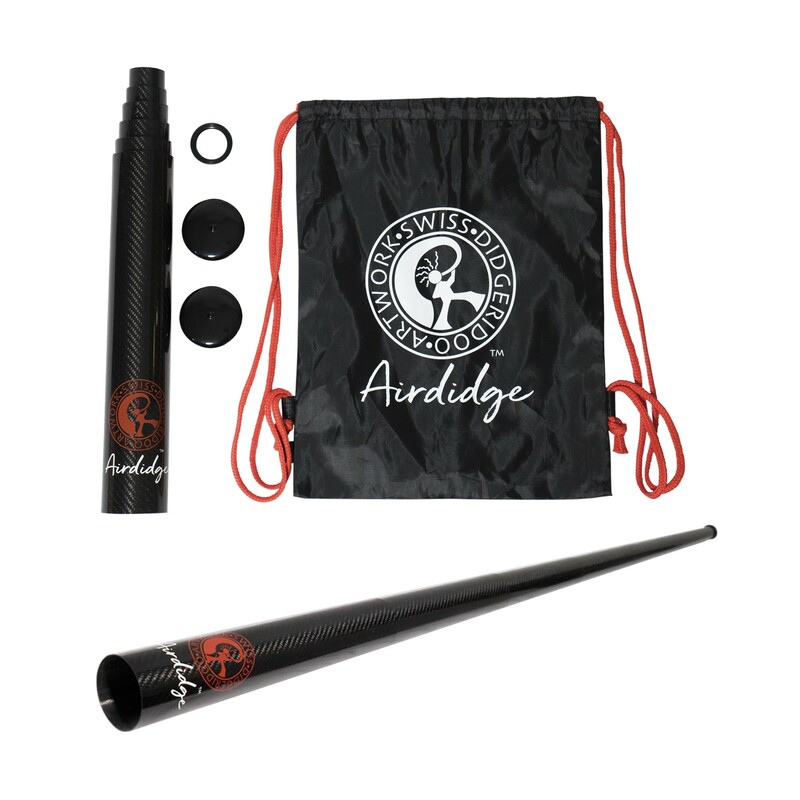 Previous articleWhat is a didgeridoo (the droning Aboriginal Australian wind instrument)? I saw jazz great Rashan Roland Kirk in a small club in NYC, many years ago. He had mastered the art of circular breathing, and played two different saxophones simultaneously, while he had what he referred to as a “nose flute” in his nose. I will never, ever forget that magical experience. I could almost not believe my eyes or ears. I was captivated!